We have our date for the 2nd Dioramica in 2018 agreed. After we have received a lot of inquiries from potential exhibitors, who want to participate in the next year in any case, we have decided to go to the planning very early. So there will be a lot more exhibitors next year. We will probably reach our capacity limits, although we can once again use additional large rooms. 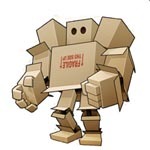 All the figures and diorama friends can be happy, there will be lots of great new dioramas to be seen again. The 2nd Dioramica will take place on Saturday, 11/17/2018 and Sunday, 11/18/2018. Of course we will post all the news about the 2nd Dioramica here in bennos forum. These are really enjoyable news! The plans for the 2nd DIORAMICA are entering the final phase. 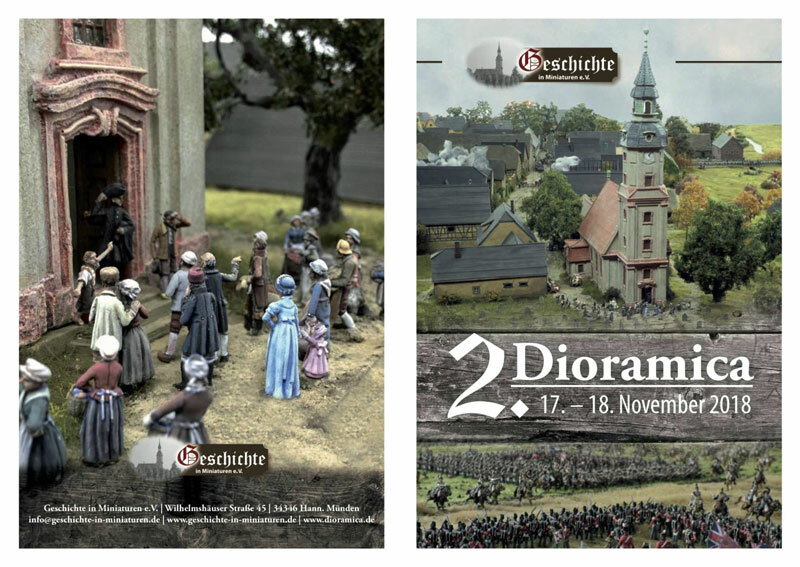 On 17.11.2018 and 18.11.2018 our large exhibition of dioramas in scale 1/72 and dioramas with 28mm figures takes place. We have added another 150 square meters more exhibition space this year. 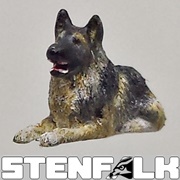 But we also have to have them, because in addition to the many new small dioramas, many large dioramas are added. 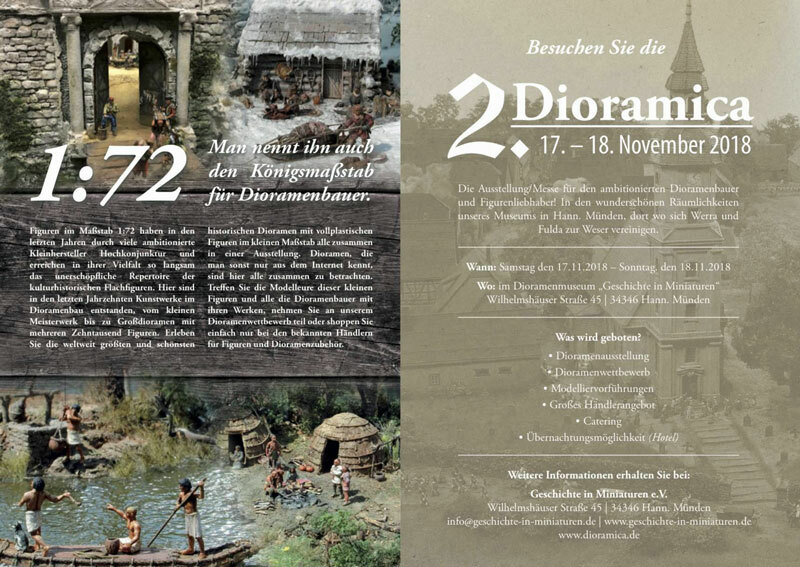 For example, the grand dioramas "Teutonic Order 1329" and the Danube Crossing 1809 "will be inaugurated for the first time together with the project teams at Dioramica. Furthermore, further big dioramas from our club will be finished, "Scottish Highlands", as well as a big diorama to the crusades. 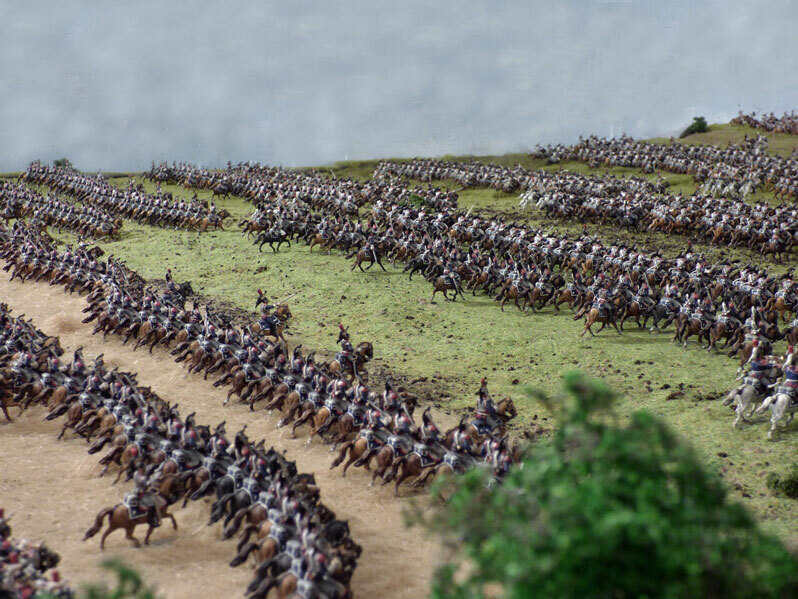 In addition, there are several great dioramas to "Waterloo 1815" and a very large diorama with 20sqm, to the Zulu wars, here the battle of "Ulundi"! We have many international exhibitors, dealers and modellers this year, including New Zealand, Italy, France, the Netherlands, Austria, Lithuania and the Russian Federation, to name but a few. Many visitors from home and abroad already have their hotel rooms in Hann. Münden booked. Incidentally, Frank Becker and Frank Bauer will offer a large table-top scenario for the 30-year war. And I also want to visit! In order to increase the anticipation of all the dioramas, I will present here at short intervals exemplary dioramas, which are at the DIORAMICA this year. Wow! that is impressive to say the least. 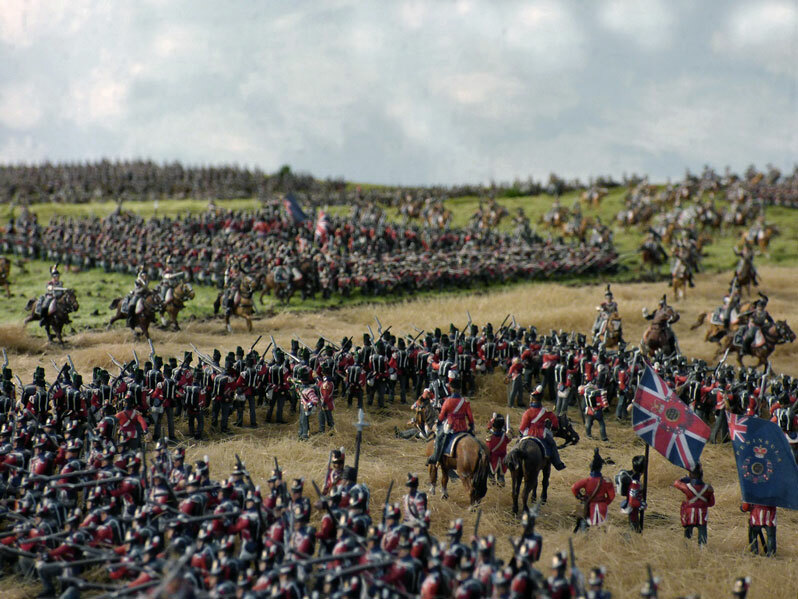 That with 35qm and 13500 figures second largest diorama in our exhibition. The Battle of Möckern on 16.10.1813 during the Battle of Leipzig. All units are here in their original strengths on the diorama. How many painters were injured while making it? There were altogether 7-8 painters, but all are healthy! Wolfgang Meyer wrote: There were altogether 7-8 painters, but all are healthy! Great to see! Huge thanks! Happy to hear that. Please, send them my respect on that work. 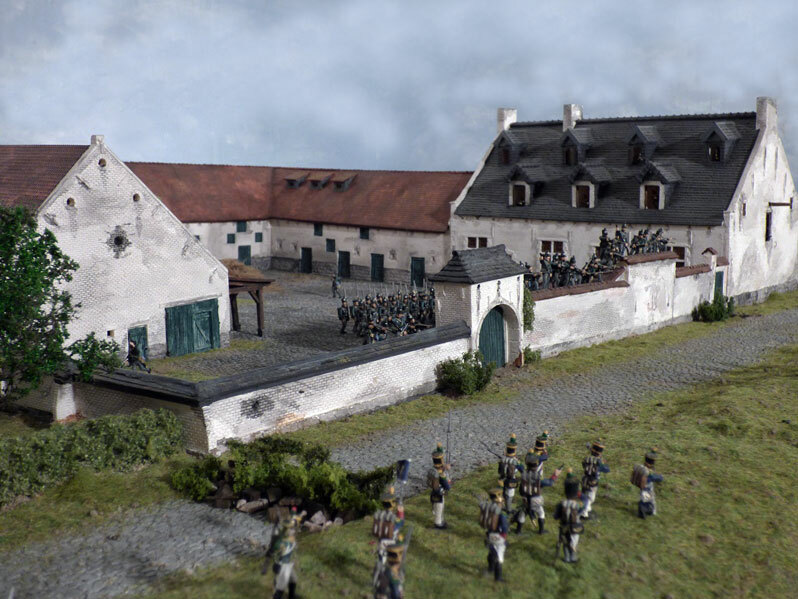 Here are many pictures from the diorama "Möckern 1813"! All regiments are shown in their original strengths. A full scale 1zu1 representation. Arndt painted the 10,000 figures alone within six years. Scale 1/72. The diorama was completed in 2015. It is currently not exhibited anywhere. Only in November it will be rebuilt and seen again. Wow! Saw it on Facebook and it is totally astonishing! This is all amazing! If I could afford it and had lots of holiday to take from work, I'd be there for the weekend. Anyone who goes is a very lucky person!